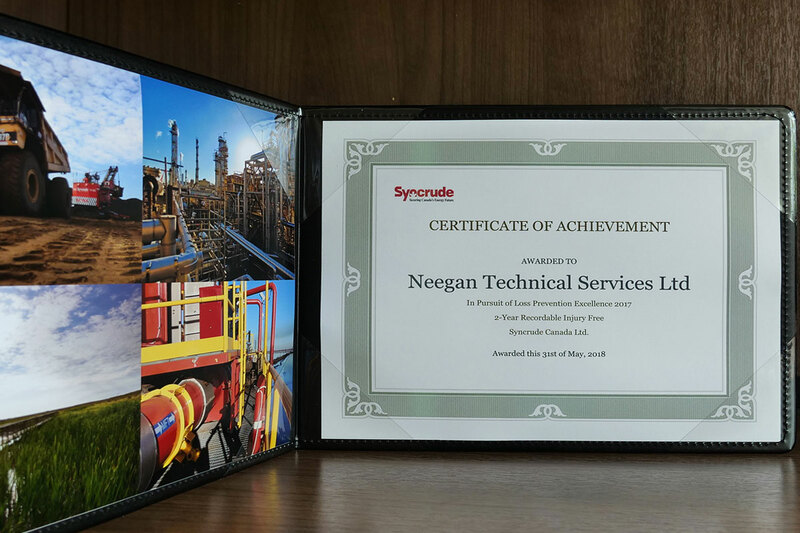 On May 31, 2018 management attended the annual Syncrude Loss Prevention Leadership Symposium where NTS was awarded a Certificate of Achievement, in Pursuit of Loss Prevention Excellence for 2-year Recordable Injury Free. Surpassing 1.75 million hours loss time incident-free, NTS shares Syncrude’s safety philosophy in continuing to work together towards a site where Nobody Gets Hurt and Nothing is Released. NTS is proud of this achievement and strives to continue to deliver an injury-free work place.